Save big on tickets and more on Tuesdays! It’s just a weekly reminder of the many perks of being an AMC Stubs member! 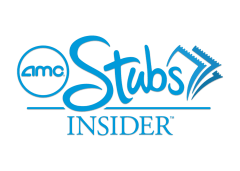 AMC Stubs Insider, Premiere and A-List members can all enjoy Discount Tuesdays! Log in before you check out on our site or app. 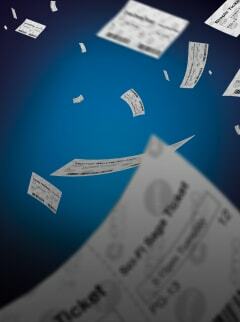 When buying at the box office, show your virtual card or account number. Pair a Cameo popcorn with your choice of a 21 oz. 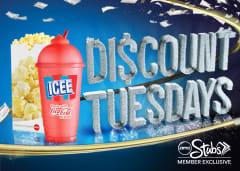 ICEE® or a Cameo fountain drink for just $5+tax Discount Tuesdays. No coupon needed! Offer not valid for full-service AMC DINE-IN™ auditoriums. How do I get the Discount Tuesdays benefit? Discount Tuesdays benefits are available for all AMC Stubs members, regardless of tier. Whether you’re an AMC Stubs Insider, Premiere or A-List member, you can save big on Tuesday showtimes! Just be sure to present your virtual card, physical card, account number or login email address when purchasing tickets at the theatre. If you’re purchasing tickets on our site or mobile app, be sure you’re signed into your account before checking out. And since the discount varies by location, be sure to check individual showtimes for details. Where can I get the discount? Discount Tuesdays benefits are available anywhere AMC tickets are sold. That means you can get discounted tickets on Tuesdays at any of our participating theatres, on our website or mobile application, and on third-party ticketing sites Fandango and Atom Tickets. Please note, discount may vary by location. Is it for any showtime purchased on Tuesday? The Tuesday discount applies to showtimes on Tuesdays only. You may purchase tickets to Tuesday showtimes in advance to receive Tuesday savings. However, advance purchases made on Tuesdays for any other day of the week are not eligible for the benefit. Surcharges will apply to premium format experiences, including Dolby Cinema, IMAX®, PRIME, RealD® 3D and D-Box. Are there any other benefits on Tuesdays? Yes! Discount Tuesdays also extend to cheap eats at concessions! AMC Stubs members can get a $5 Cameo Combo (cameo sized popcorn with choice of 20 oz fountain drink or 21 oz ICEE) at any AMC or AMC CLASSIC theatres. Just be sure to present your virtual card, physical card, account number or login email address at purchase. Special events are not eligible. Special events include, but are not limited to, fan events, private screenings, movie marathons, double features, Fathom Events, Metropolitan Opera, sporting events, select showtimes of certain foreign language films, and other events that are priced above standard ticket price. Surcharges will apply to premium format experiences, including Dolby Cinema, IMAX®, PRIME, RealD® 3D and D-Box. Additionally, any Tuesday showtimes from December 22nd and January 2nd (12/22-1/2) are not eligible for Discount Tuesdays benefits. And since the discount varies by location, be sure to check individual showtimes for details. Yes, but premium format surcharges will still apply. You will receive the Tuesday discount for the base ticket price, but premium format surcharges will apply for Dolby Cinema, IMAX®, PRIME, RealD® 3D and D-Box. Are there any other exclusions or blackout dates? While not excluded, surcharges will apply to premium format experiences, including Dolby Cinema, IMAX®, PRIME, RealD® 3D and D-Box. Additionally, any Tuesday showtimes from December 22nd and January 2nd (12/22-1/2) are not eligible. What if I’m an A-List member? Add on a $5 Cameo Combo (cameo sized popcorn with choice of 20 oz fountain drink or 21 oz ICEE) at any AMC or AMC CLASSIC and the savings add up even more! Can I get Discount Tuesdays benefits through Fandango or other third-party sites? You sure can! Discount Tuesdays benefits will apply when purchasing through Fandango or Atom Tickets. 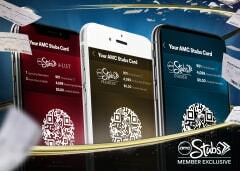 Remember, you must be logged into your AMC Stubs account at the time of purchase to receive the benefit. Can I get Discount Tuesdays benefits even if I’m just an AMC Stubs Insider member? Yes, absolutely! We gladly offer Discount Tuesdays benefits to all our AMC Stubs members. Enjoy Discount Tuesdays as soon as you join! Plus, you’ll get a FREE refill on your large popcorn purchases and start earning points toward $5 rewards. Discount applies to full-price tickets for Tuesday showtimes only. AMC Stubs member number must be present on the transaction to receive discount. Surcharges for premium formats, special events. Exclusions apply. Virtual reality experiences and premium events such as, but not limited to, fan events, private screenings, movie marathon/double features, Metropolitan Opera, broadcasts of sporting events and other showtimes and events (including select showtimes of certain foreign language films) are excluded. Discount varies by location. Discount Tuesday tickets are $6 in CA, CT, DC, GA, IL, MA, MD, NJ, NY, VA. Discount Tuesday tickets are $5 or a lower prevailing ticket price in remaining states. Not valid 12/22-1/2. Tuesday tickets are available for purchase in-theatre at the box office, kiosk, through the AMC Mobile app, and online at AMCTheatres.com and select ticketing partner sites. Group purchases and group discounts do not apply. *Valid for 20 oz. fountain drink or 21 oz. ICEE and cameo size popcorn at participating theatres, while supplies last. Not valid 12/22-1/2. Not valid in full-service Dine-In auditoriums. Tax not included. Not valid with any other offer. Not eligible for AMC Stubs upgrades. No cash value. AMC associates are not eligible for this offer. ©2019 The Coca-Cola Company © 2019 ICEE is a federally registered trademark.